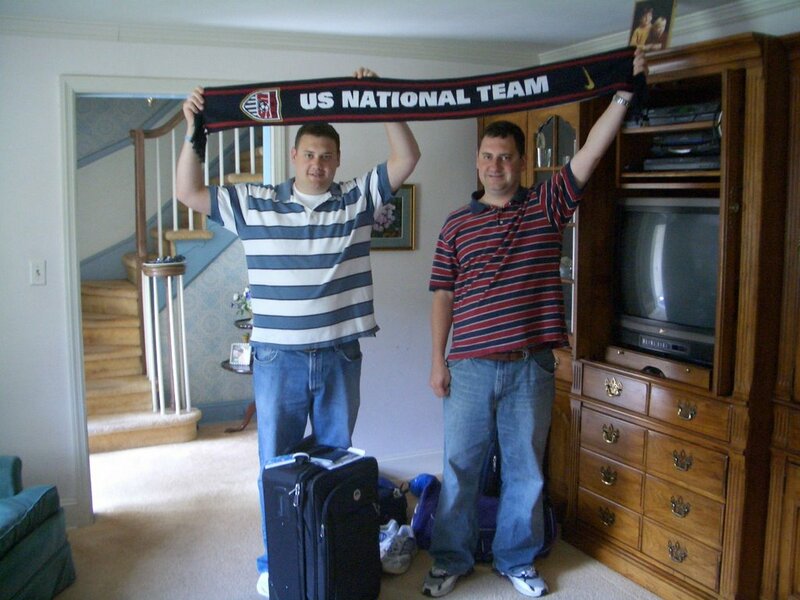 We left New Jersey the evening of Saturday, June 10th on a red eye flight to Frankfurt, having already watched the first two games of the day, including England's 1-0 win over Paraguay in Frankfurt. 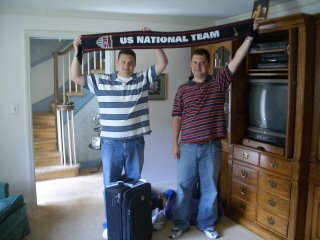 We figured many of their fans would still be nursing post-game hangovers by the time we joined them in Germany- and we were right. 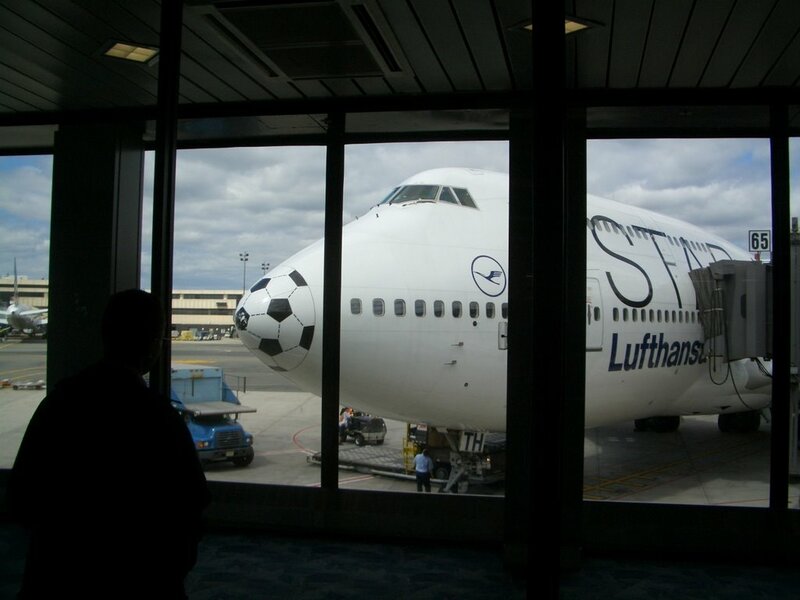 There was no doubt that when our Lufthansa plane pulled up to the gate in Newark that we were on the right flight. Top notch service on Lufthansa, the drinks kept coming and the 7 hour flight seemed quicker.